VTE has developed a new solution to jumpstarting devices and for providing remote charging capabilities. 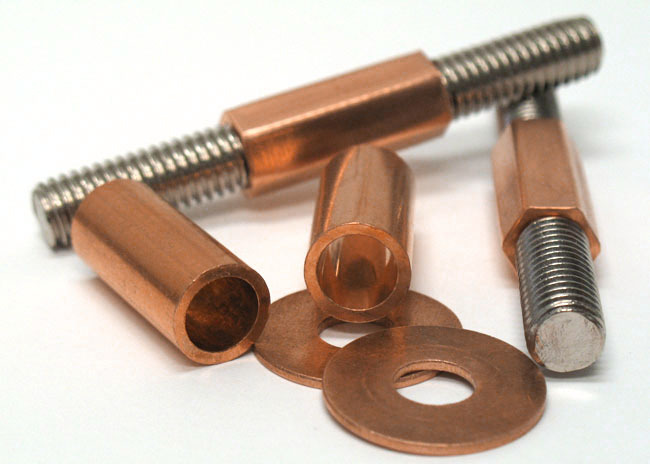 Our Copper Core Jumper Bushings provide high current passing properties along with high torque strength. The Copper Core is cold swaged into a hex shape, providing very high energy transfer performance. The conductive materials are placed exactly where needed, reducing cost and improving performance. 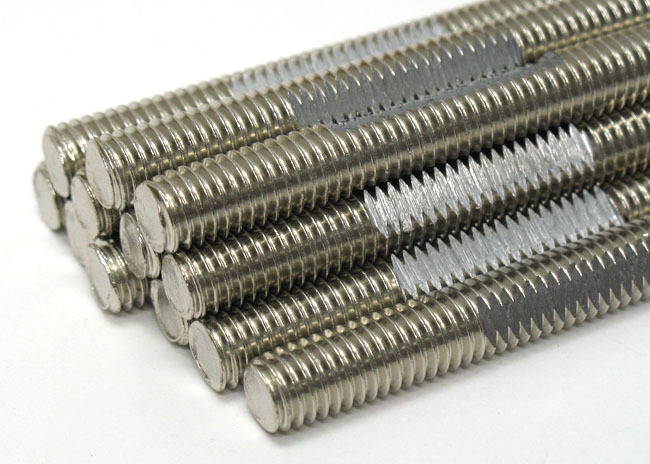 Significant amounts of fastener torque is required when attaching multiple 4/0 ga (120mm2) cables. Brass shaft devices just don't measure up. At the required torque, brass posts may fail. Our Copper Core Jumper Bushing uses a 3/8" (or 10mm) Nickel-plated steel shaft to provide high torque value. 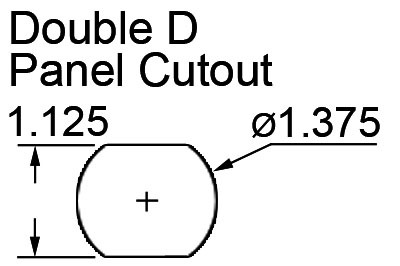 First, the power bushing is molded in a unique shape, to fit into a punch hole provided by a	Double-D Cutout. This ensures the bushing will not spin in its location. We then shaped the inner sleeve passage to a hex shape. When coupled with our hex shape core insert, this provides 100% stability when fastening cables. 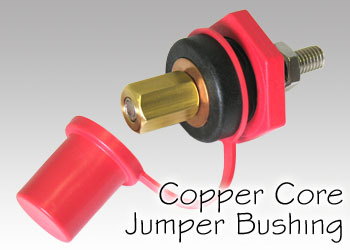 Copper Core Jumper Bushings are available as single assemblies. Our Jumper Bushings are available in a Flush Mount Kit. 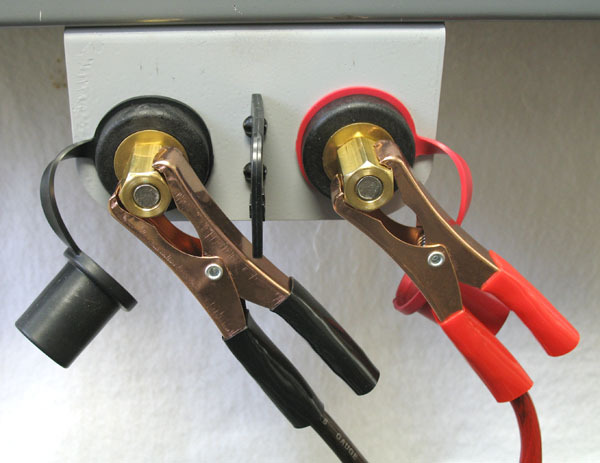 This kit is used when the panel is existing, and the customer will create the mounting holes themselves. 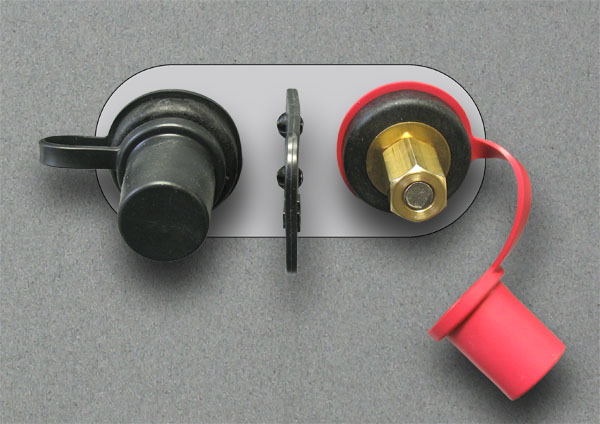 This kit includes (2) bushings (red & black), (1) protection divider w/ screws, and (1) installation template. Our Jumper Bushings are available in a Bracket Mount Kit. This kit is used for mounting the bushings adjacent to existing panels. This kit includes (2) bushings (red & black), (1) pre-drilled mounting bracket and (1) protection divider w/ screws. For panel thickness up to 3/8"